Loving the trend of the gold belts, it is a great way of magnifying and enhancing your outfit and look. 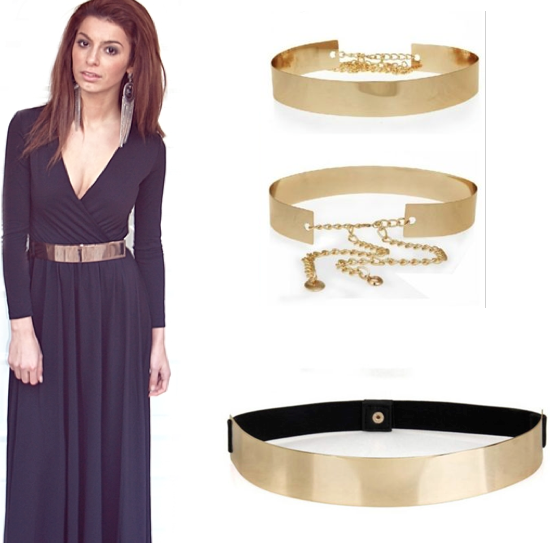 The metallic belt is one of the latest trends, first seen at the red carpet. You can match it with almost anything you wish to, long dress, short dress and also pants or skirts. We can, kind of, find them in different width, some very tiny and other a little more solid, and match them according to your outfit. Here are some possible suggestions that are at friendly prices and look just amazing at the same time. What do you think? Do you own one? I love it! So so chic.